DENVER – Jim Tracy says he wants to return as manager of the Colorado Rockies next season even though the team is on pace for the worst record in franchise history. 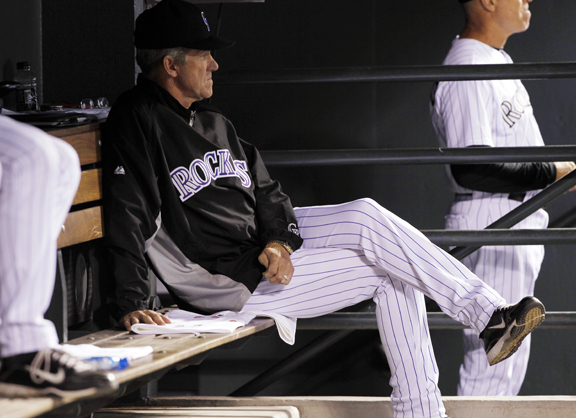 Tracy took over as manager 46 games into the 2009 team and went 74-42 and led the Rockies to the NL wild card. Injuries and a shaky pitching staff this season put the Rockies at 61-94 heading into Thursday’s game against Chicago. Tracy is 291-304 as manager of the Rockies.